Under 21 must be with a parent or legal guardian. Rok Brigade: A Premier Def Leppard Tribute Band! Def Leppard's infectious melodies, heavy guitars, pounding drums and layered harmonies combined perfectly to give us some of the greatest rock antherms of the 1980s! Now, Rok Brigade, based in Chicago, has established themselves as the premier Def Leppard Tribute band performing throughout the US! 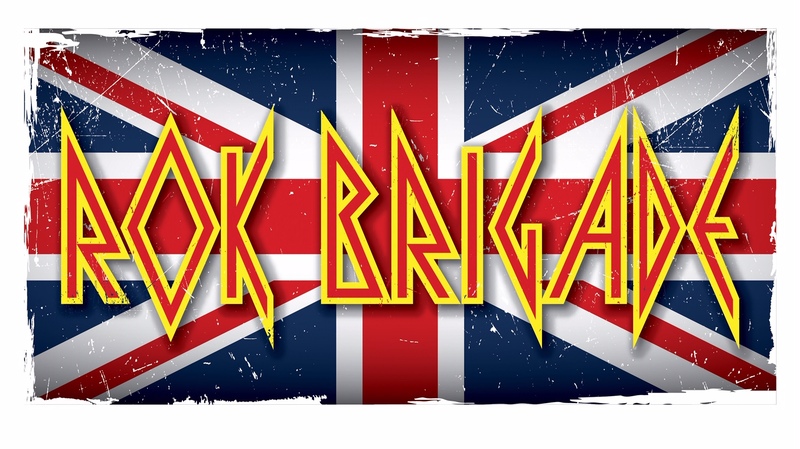 Formed by 6 friends, all musicians currently playing in bands, put together a Def Leppard Tribute Band! They wanted to cover their favorite songs from the band's extensive catalog and you won't want to miss it! Doors open at 7p and the show is at 9p, with seating on a first come, first served basis. Guests that are under 21, must be accompanied by a parent or guardian.